With an intoxicating portfolio of diverse landscapes that range from Table Mountain, towering over Cape Town and its craggy coastline, to river deltas, deserts and savannahs inhabited by the ‘Big Five’ – not to mention a world-class wine region – few travellers can resist the lure of South Africa for long. A whopping 11 languages are spoken in South Africa. Luckily for UK tourists, English is one of them, with most people living in urban areas having a good grasp of the language. Phew! Having said that, a little effort from you often goes a long way, so step off that plane armed with a few local phrases to share, no matter how embarrassing your pronunciation may be. Try ‘howzit’ (hello, or how are you? ), ‘sawubona’ (greetings) and ‘molo’ (how are you doing? ), all of which will be welcomed with a smile (and maybe a laugh) in appreciation of your attempt. If you’ve got your sights firmly set on spotting wildlife, the best time to visit the national parks falls between May and September, when the dry winters bring herds to the watering holes for easy viewings. These months are also low season – music to any traveller’s ears – when the crowds thin and you’re more likely to find a private slice of wilderness on a safari. If, however, you’re heading to the beaches of the Cape, the hotter summer months (November through to March) are ideal and for keen whale watchers, while the Cape West Coast should be visited between June and November to spot the migrating humpback whales. Don outfits that sport every shade of khaki and beige and set off in an open-top safari Jeep by all means, but be sure to leave room in your itinerary for the rest of the country’s offerings. The nature reserves might be beloved for hosting the iconic Big Five, but South Africa also has a coastal penguin colony that can be found lurking on the craggy cliffs of Robben Island. Table Mountain is believed to be one of the oldest peaks in the world and is also well worth the hike (or the cable car journey) for unrivalled, panoramic vistas over the Cape Peninsula. 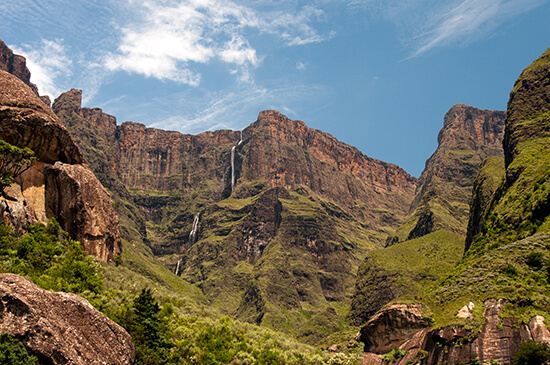 The country is also home to the second highest waterfall in the world, Tugela Falls, and the earth’s third largest gaping canyon at Blyde River. 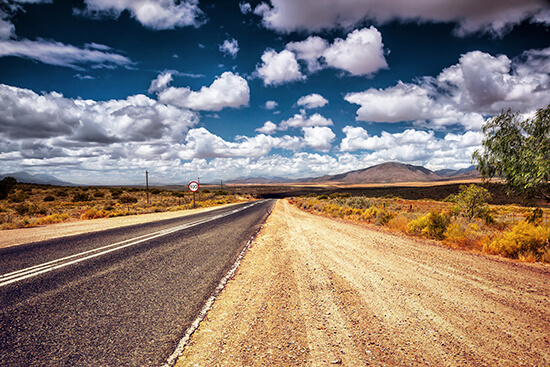 South Africa has made a bit of a name for itself when it comes to crime rates, but don’t let this put you off – the risk of anything occurring around the country’s major tourist destinations is very low. Generally speaking, the rules for staying safe are pretty much common sense. 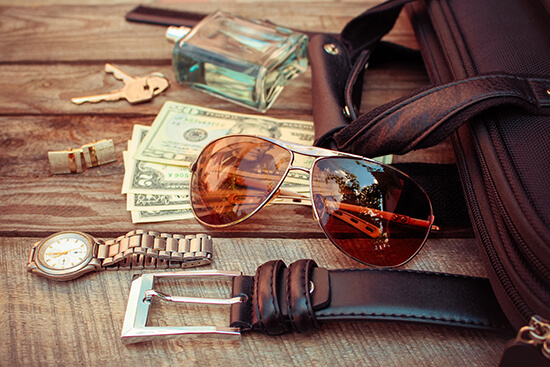 Stick to main tourist routes, keep your car doors locked while travelling, especially through big cities, and make sure your valuables (phones, cameras, wallets and even jewellery) are kept out of plain sight. Don’t wander around non-tourist areas after dark; call a cab to take you back to your hotel. When embarking on a holiday that involves distance driving, perhaps between towns, cities or regions, keep small change in the car for tolls on major roads and cash to avoid being caught between sparse petrol stations that don’t accept credit cards. Heed all worrying mothers’ advice and make a trip to the toilet before you set off or at any restaurant you stop at – not all roads have service stations, let alone bathroom facilities. If you’re keen on travelling through the country but driving doesn’t take your fancy, river cruises can transport you past seasonal wetlands. South Africa is also home to 80% of Africa’s train tracks, so why not ride the rails instead, stopping at game reserves and safari lodges? Dull? Maybe. But making sure you know the nitty gritty entry requirements will save you a lot of time and stress when compared to arriving unprepared. If you’re lucky enough to hold a passport bursting with an array of exotic stamps from far flung, tropical places across the globe, make sure you’ve got enough space before you get too smug about adding South Africa to your enviable collection. You’ll need two blank pages to present to immigration when you enter South Africa. You’ll also need to have proof of a return, or onward, flight. 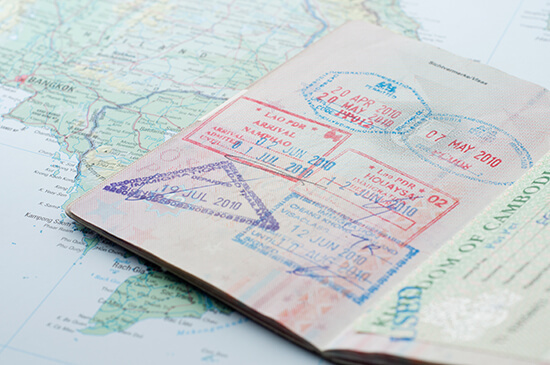 UK passport holders don’t need to obtain a visa for tourist or business visits under 90 days (saving a bit of dosh for the wine regions) and parents travelling with under 18s are required to show the child’s full, unabridged birth certificate that lists the child’s details and the details of both parents, too. But the good news is that, once you’ve made it past the arrivals lounge, South Africa offers myriad unforgettable experiences. From the people to the landscapes and the wildlife, you’re practically guaranteed an extraordinary adventure. 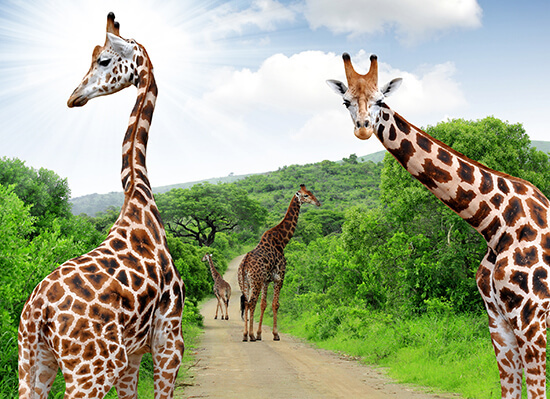 Inspired to book your tailor-made South Africa holiday? Speak to one of our Travel Experts about our fantastic range of Journeys itineraries. Travel obsessed and still searching for the perfect adventure that combines hiking, scuba diving, snowboarding and exploring wilds in a campervan (though not all at the same time). I am a reluctant gluten-free cake enthusiast and can consume coffee at an impressive rate. Instagram: @evbrisdion.